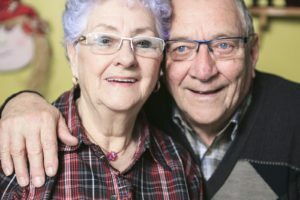 Can Both Parents Live Together in Assisted Living? Growing older together sounds like a romantic idea for younger, healthier, stronger adults. For those who are in their 70s, 80s, or even 90s, being able to spend that much of their life with the person who is, essentially, their best friend can be a blessing. However, when a couple begins struggling with their own basic care at home, they begin to look at other options, which can include assisted living. Often, assisted living is viewed as an elder care option for just one individual. In truth, it is possible for two seniors, a married couple, to share a room at assisted living, but not every facility offers this option. Some facilities only have single occupancy rooms. Other facilities may offer residents the chance to share a room as a way to try and save some money on the expense of this experienced staff supported option. 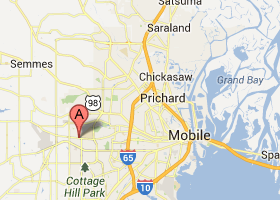 Contact assisted living facilities in your area. The best first step anyone can take when looking into this as a prospect for their future with their spouse is to contact an assisted living facility in the area. While family may be encouraging these seniors to move closer to them, people establish relationships, friendships, and support throughout the community the longer they live in a particular area. That’s why it may be more prudent for the couple to focus on an assisted living community that is right there in their own town, or at least extremely close by. What if the facility does not permit couples to move into the same room? There could be a number of reasons for this, not the least of which is safety and equity for the rest of the residents. In that kind of situation, they may have provisions in place to provide two adjacent rooms for the couple to live side-by-side, if that’s something they wish to pursue. The most important thing for any elderly couple when contemplating assisted living is to understand what benefits it offers. Not only can it provide a much safer living environment, it can also allow those two to have access to activities, entertainment, and possibly even transportation services to go to the mall, doctors’ appointments, and much more. There are numerous benefits to assisted living for single, widowed, divorced, or other seniors, and it may also provide a wonderful environment for couples, whether they’ve been married for just a few years or most of their adult life. If you or an aging loved one are considering assisted living in Pascagoula, AL, contact Ashbury Manor Specialty Care and Assisted Living at 251-317-3017.